A goal from Ben Pringle against his former club helped Fulham to a 3-1 win over bottom side Rotherham. Ben Pringle struck against his former club as Fulham beat Rotherham 3-1 at the New York Stadium. Pringle, who spent four seasons with the Millers and earned two promotions, opened the scoring before Ross McCormack's penalty and Cauley Woodrow's injury-time strike sealed Fulham's first league win of the season. Jonson Clarke-Harris got one back for Rotherham, who earlier missed a penalty through Matt Derbyshire, in the second half but the loss leaves them rooted to the bottom of the Sky Bet Championship table and winless from five games. 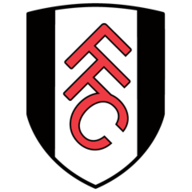 Fulham forced the first effort on goal when Tom Cairney supplied Ryan Tunnicliffe but the midfielder dragged his shot wide. Chris Maguire then tested Andy Lonergan at the other end before Clarke-Harris failed to connect properly with Derbyshire's inviting cross. Pringle then scored seven minutes into his New York Stadium return after Moussa Dembele's header was palmed into his path for a tap-in by Adam Collin. McCormack had an opportunity to double the lead moments later after being put through by Dembele. Collin kept his shot out and this time the ball didn't fall as kindly to Pringle. 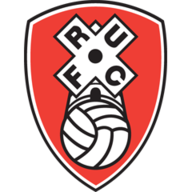 McCormack was not to be denied and made it two from the spot on 16 minutes after Rotherham captain Greg Halford scythed down James Husband in the box. Rotherham responded well, Maguire threatening to power his team into the game but his shot was diverted wide by Jazz Richards. Clarke-Harris' overhead kick was then chalked off as Paul Green, in an offside position, had got a touch to the effort before it went in. Rotherham created another chance before the break but Green scuffed his shot from close range after Joe Newell's drag back. The home side then appealed for a penalty when Pringle tangled with Clarke-Harris in the box. Newell and Maguire were replaced at half-time with Grant Ward and Aidy White replacing them. The two subs quickly combined with Ward's cross finding White at the back post. White's header back across goal was smashed away from the path of Lewis Buxton by Dan Burn. After a break in play, Rotherham caught Fulham napping and Green drew a foul from Richards to earn them a 55th minute penalty. Derbyshire stepped up but Lonergan guessed the right way and pushed his shot away to safety. McCormack was inches away from making it three when his long distance effort rattled the crossbar. But Clarke-Harris halved the deficit on 72 minutes. After good work from Green, the striker curled in from the edge of the box. Buoyed, Rotherham looked to get the game level but were finished off four minutes into seven added on when Woodrow finished smartly after Jamie O'Hara's fine work down the right. "We made two or three errors for each of the Fulham goals. We created two or three good chances in the first half and didn't take them. We huffed and puffed in the second half." "It was important we came and put in a decent performance and got three points on the board. We made it hard work for ourselves conceding a penalty and giving away a stupid goal but overall I'm very pleased with the performance."